We know it happens to everyone; books fall down the side of the bed, get lost in the bookshelf, or just magically disappear for 3 months and then reappear again… so we will be leaving a box on the table outside the hall for children to return any school books that have been found at home. The box will be there until the end of term. Thank you. We hope you will all make the Summer Fete this Friday from 6pm-8pm on the playing field. PLEASE can we remind parents NOT to park in Coucy Close, but to use the Elms Car Park or back playground. If you are able to offer any help for the summer fete the Friends would really appreciate it. It would be especially helpful if parents can assist to clear away at the end (eg clearing the field, taking empties to bottle bank, taking chairs back to school etc). If you are able to offer any time at all on this day please contact Karen Debenham 01728 638938 or email Karen.debenham@btinternet.com or turn up on the day to help. Thank you. 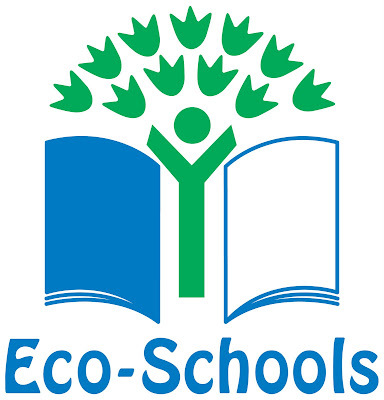 The Eco Council at school are keen to run a Fruit and Veg ‘Bring and Buy’ stall; so if you have any surplus fruit or vegetables from your garden or allotment then they would be really pleased if you would bring them along at 6pm to be sold. Thank you. The end of year reports about your children will be out shortly - Year 1 to Year 5 on 10 July, and Year 6 on 3 July (assuming that all SATs results have come back). There are no reports for Foundation children as they are having parent consultations. The reports are confidential and are personally addressed to you as parents. We would ask that you ask your children not to open the reports before they get home. May we remind parents that orders should be returned to school by Monday 6 July at the latest. Any orders after this date will need to be sent direct by parents to the photographers and will incur a £2 surcharge for separate return delivery. For your information we will not be using this company again. Our Leavers’ Service will be held at St Michael’s Church on Thursday 16 July at 1.30pm. Year 6 parents are warmly welcomed to this event. Pupils in Key Stage 2 will attend this service and they will be joined by any Key Stage 1 siblings of Year 6 children. Parents are welcome to take their children home from the church although they may have to return to school to collect their belongings. Parents who wish to purchase a book to donate to the school may do so at the end of the service if they have not already done so by this date. If you are buying a new school bag for September please could I remind you of the limited space we have on the pegs in school and ask that you consider buying a small bag – drawstring/triangular bags are the best. The house cricket competition this year finished in the most dramatic way possible. Howard and Bulstrode were playing for 3rd / 4th place. Howard were comfortable winners. However, the battle for 1st place between Mills and Hitcham went right down to the last ball of the match. Mills batted first and scored the biggest score of the season (294 and only one wicket lost in their 12 overs). Hitcham batted well throughout and gradually knocked off the runs with sensible batting and good running between the wickets. 20 runs were needed off the last 3 overs and just 6 from the final over. Gus Whiteley managed a boundary off the 4th ball. The scores were level with the last ball to be played. Gus hit it hard but straight back to the bowler. Both batsmen sprinted hard and made it home for HITCHAM to win by 1 run. This was a high quality match with good skills being shown by bowlers, batsmen and fielders. A wonderful end to a good set of house matches this year. Many of the Mills and Hitcham players are playing for the school team on Monday in the County Finals. Thank you to Mr Snowden for taking these stunning action photos. On Thursday three people came in to show CA and PL/DD some birds. The people were called Trevor, Acer and Lee. They brought in a European Eagle owl that was called Tatry and he flew away. Another bird came and he was a Harris hawk and he was called Dr Foster. Then we had another owl and he was a Steppe Eagle owl and he was called Borrat. Then we had an Indian Eagle owl called Scrappy and he was a tiny owl. The first owl Tatry was up in the tree for an hour and a half. At 4 o’clock he came down. Many of the birds weren’t used to flying in front of people so we were really lucky they flew. We all had a great afternoon and enjoyed it when the bird flew really low across us. Last Tuesday afternoon we went to the Suffolk heritage housing in Framingham. A few weeks ago we designed some gardens for the area outside their main entrance. We went there to have the winner announced and to make the garden. Molly and Aleena (winners of the competition) got a certificate and a present. We made the garden like their design. We were allowed to have a snack and a drink while some waited their turn and 5 or 10 were gardening. It was a fantastic afternoon and we hope to return soon to weed it! Thank you to Mrs Driver and the people she works with for letting us help. This year we have run a house poetry competition in years 5 and 6. The poems could be written in any style but had to be basd on a theme of caring for the Environment. Do your own bit and try not to accuse. The amount of litter will become less and less. Use it again without any haste. Re-use your things, this is the way,To give you a smile every single day. Help support the eco system, there is only one chance so we can’t miss ‘em! Put litter in the bins that’s all you need to do that means everyone including me and you. Earth is green, maybe, selfish people cutting down their soles. Violent chainsawers, men’s voices, keeping the animals away. I reduce, reuse, recycle and repair, to keep the environment clean. Ocean’s and river’s dying down, pollution is the problem. Nearly all the precious animals becoming extinct we need to keep them safe. Many should care about the Global Warming, Polar Bear need . . . . . .
Eco-friendly people, these are the people we need to look up to. Never do you think acid rain will come. And she’s spreading the message to every boy and girl. And nothing were doing is making it clear. Waste is sending up poisonous gas and ozone layer is suffering worst. We should work hard for what its worth. We can work together to save our earth. Could it be used as something else? The jumper with a hole to mend. For a new cleaner life. In onour of Padington Bear - who is now 50 years old - we had a lunchtime picnic on the school field. Lots of children brought in their teddy bears for the picnic. Sports Day this year took part in perfect weather and was watched by a large crowd of parents. Foundation and Key Stage 1 went first and put on a fantastic display of races and skills. The Key Stage 2 children then took part in their races as part of an intr house compeition. This proved to be one of the closest contests for many years. It all came down to the final relay race. Howard and Mills were only seperated by a few points. The winner of the relay would be the overall champion this year. You can see a video of the race below. Our girls took part for the first time in a girls only cricket tournament. It was organised by the High Suffolk Sports Association and took place at Stradbroke Cricket Club. Seven schools took part. Our team won 2 games and lost 2 to finish in 3rd place. Our girls have been practicing after school on Tuesdays and playing in our house matches. As you can see from the photographs they are having fun and using some good skills. Would you like to win this blanket? The winning ticket will be drawn at the fete. The annual girls football tournament was held on Wednesday 17th June at Wickham Market. There were 14 teams split into 2 groups of 7. Robert Hitchams played their 6 group games without conceding a goal. We started steadily with a 0-0 draw against Fressingfield. We followed this up with wins against Eye, Debenham, Stonham B, Wickham Market and St. Botolphs. Natalia scored some excellent goals. Georgie and Charlotte scored one each. Molly (in goal) and Lucy (in defence) were looking unbeatable. Robert Hitchams won the group and progressed to the semi finals along with runners up Fressingfield. In the semi final we came up against Stonham. They had the outstanding player in the tournament. We went a goal behind and Molly made a superb save to keep us in the game. Natalia scored a brilliant equaliser (following a pass from Lucy) which took the game into extra time. Stonham's captain scored immediately from the restart. Robert Hitchams pressed forward looking for an equaliser but we were caught out on the break. Stonham finished as deserved winners by 4-1. In the final Stonham were comfortable 5-1 winners. Our girls exceded expectations and played well as a team throughout.